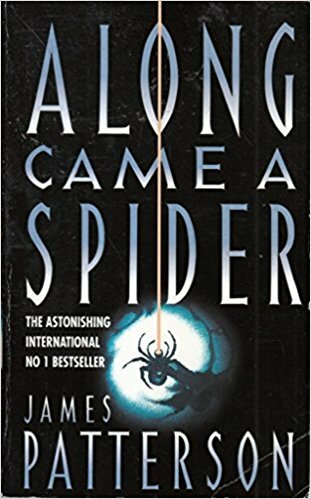 The novel Along Came a Spider written by James Patterson is a great introduction to this prolific and hugely successful writers work. This book by Patterson introduced us all to Alex Cross and the series which followed. A great thriller which is well plotted and the Alex Cross books have dominated the detective novel lists for years. Washington, D.C. Alex Cross, the renowned Washington D.C. forensic psychologist and homicide investigator, is tasked with looking in to the violent murder of two black prostitutes and a child in the projects. Cross is furious when he is removed from the case to investigate a kidnapping of two white children at an expensive private school. He feels that there is a sense that the colour determines which case is the more important. The kidnapper is Gary Soneji, the school maths teacher. The evil Soneji, buries Maggie Rose Dunne and Michael Goldberg alive, in a coffin made for the task, at a remote farmhouse. Alex Cross and the FBI make a detailed search of Soneji’s apartment. They find a wealth of information about kidnappings and master criminals. In particular it appears that Soneji has a more than passing obsession with the Lindbergh baby kidnapping of 1932. Soanji clearly has a warped desire to become infamous. Cross hooks up with Jezzie Flanagan, the first female supervisor of the Secret Service and the head of the Secret Service investigative team, in a secret liaison which complicates matters. During the investigation Roger Graham, an FBI agent, is killed by Soneji who disguises himself as a reporter. The police, FBI and the Secret Service are pitted against a true adversary in the guise of the violent psychopath, Soanji. I don’t want to ruin the plot for you in this cleverly plotted and intricate game of cat and mouse where the stakes are the very highest. “The best thriller I’ve come across in many a year. It deserves to be this season’s NO.1 best-seller. Along Came A Spider by James Patterson is a superb read.